I've had some delicious Korean tacos from food trucks in Southern California. I don't know why I was craving them, but I was... the fusion of the different flavors make such a delicious meal. So I searched the internet for some recipes. I didn't find one that sounded exactly right to me, but I used what I found as inspiration to create my own recipe. It was a HUGE success. Seriously - you need to make these ASAP. The flavor is bursting out of these babies! Bonus... they are gluten-free if you eat them with corn tortillas. Whisk all ingredients (except pork) in a medium bowl to form a marinade. Trim excess fat from pork loin and cut into 3 or 4 sections. Place pork in a large ziplock bag or shallow bowl along with the marinade and seal (or cover with plastic wrap if using the shallow bowl method). Allow the pork to marinate in the refrigerator overnight. 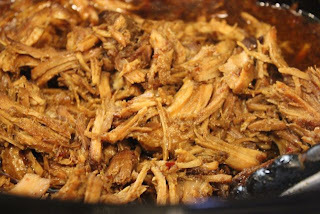 Remove the pork in the marinade from the refrigerator and place in a crockpot (pork and marinade). Cook on low for 6 to 8 hours. Whisk together sesame oil, rice vinegar, gingers and red pepper in a medium bowl. 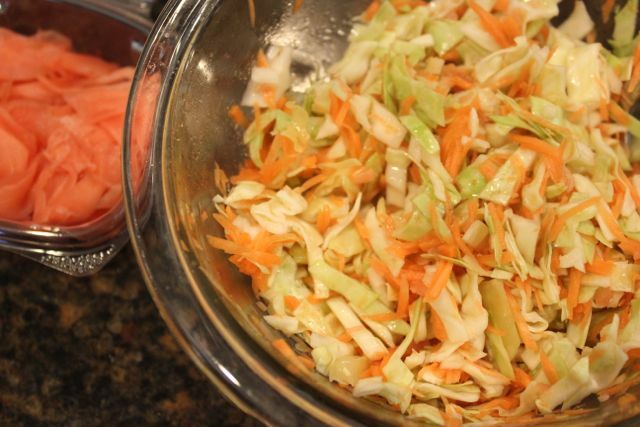 Toss cabbage and carrots with the dressing. Cover and refrigerate until ready to use. Shred the pork using two forks. 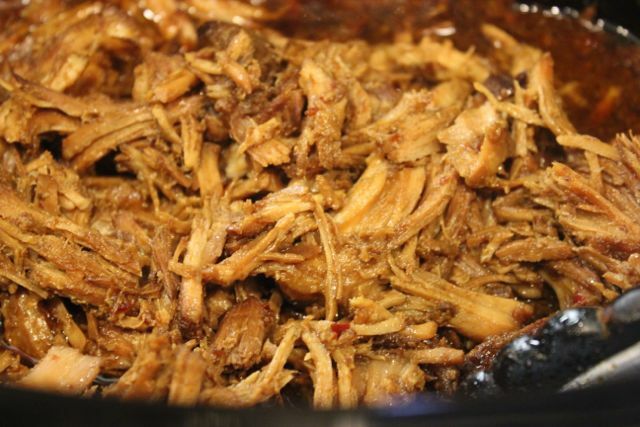 Stir pork into the sauce in the crockpot. 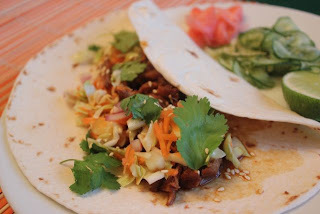 Serve the Korean pork with warmed flour or corn (for gluten-free) tortillas. Top with ginger slaw, red onion, jalapeños, sesame seeds, and a squeeze of lime. 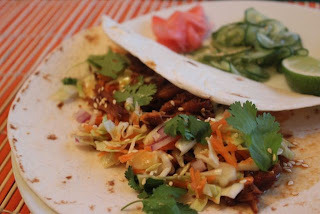 Serve with Asian cucumber slaw along side the tacos or you can add the cucumbers on top of the taco too.